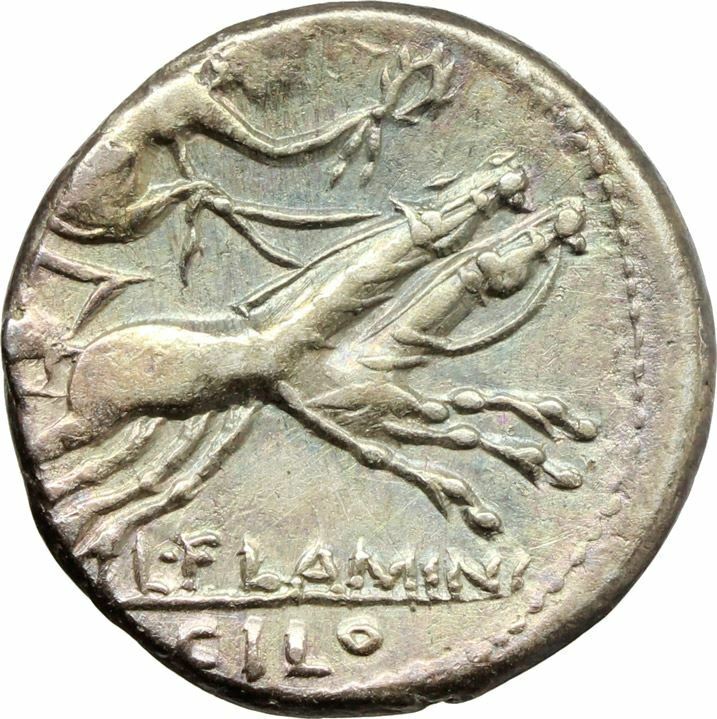 L. Flaminius Chilo was one of the moneyers for the year 109-108 BC. He is not otherwise known. Gens Flaminia was a plebeian family of little importance. During the first five centuries of Rome, no mention is made of any member of the Flaminia gens.